Due to a very deep snowpack over this winter followed by sudden warm temperatures, the usual springtime high water has caused rivers across the middle of North America to completely overflow. These powerful waters are carrying big chunks of solid ice in many spots that are destroying transportation infrastructure, including roads, bridges and rail lines. Lumber suppliers have slowed production in recent weeks and are waiting to see what happens once their current, already sold, stock-on-hand is sent out. Lumber inventories have been “backing up” at the secondary supplier level as a result. Wholesalers and distributers report that plenty of wood has been sold but getting it on the rails has been a frustrating challenge. In mid-March, investment firm Susquehanna Financial Group estimated that weekly rail volumes originating out of the western US were -13% lower compared with the same period a year ago, according to Freight Waves March 21. In contrast, rail volumes originating from the eastern US were +22% higher. 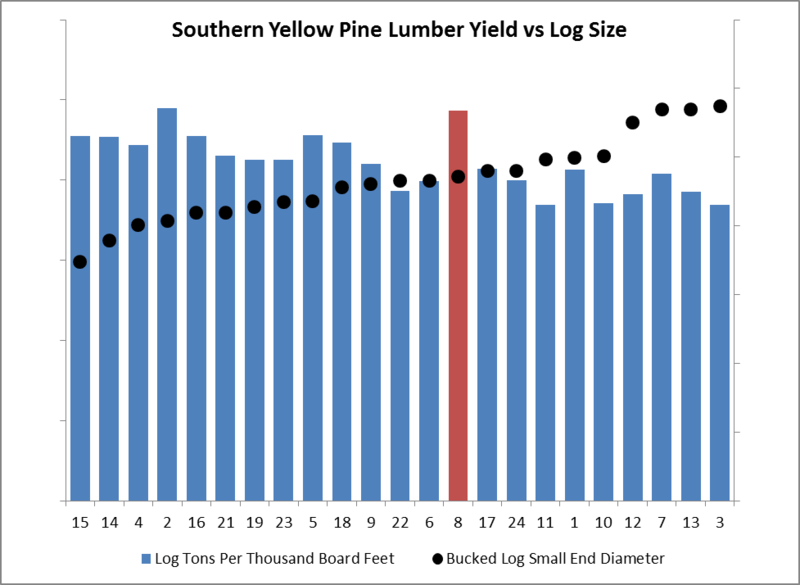 Madison’s Lumber Reporter prices on benchmark Western Spruce-Pine-Fir KD 2x4 #2&Btr (wholesaler price, net FOB sawmill) for the week ending March 22 was unchanged from the week before; prices remained at $402/MBF. This is -5% lower than in mid-February when that price was $422, and a -25% drop from the same period last year ($540/MBF). By comparison, the recent high for WSPF 2x4s, in June 2018, was $550/MBF. The graph below illustrates price performance for benchmark dimension softwood lumber 2x4 products over the last year. View this pricing data and commentary, and much more, when it comes out every Friday at 9 a.m. EST by subscribing or visiting Madison’s to learn more. The general consensus is that the full rush of lumber orders in preparation for this year’s building season hasn’t yet materialized. Buying slowed last month because the high-density areas of the Eastern US were frozen and Texas and California were under a steady deluge of rainfall. Building activity stopped entirely in many key softwood lumber consuming markets. Currently, suppliers are struggling to get their orders shipped out and as a result of these combined factors, actual demand is still up in the air. Once these logistical issues are sorted out, we’ll have a much clearer picture of what the market looks like. BNSF Railway has alerted customers that multiple subdivisions remain out of service in Iowa, Missouri and Nebraska due to high water and track washouts. Service has been restored along lines between Lincoln and Alliance, NE, and Sioux City, IA, to Sioux Falls and Aberdeen, SD. However, service still remains offline on other subdivisions near Sioux City and Lincoln and Omaha, NE. The rail company also said that it’s monitoring areas along the Missouri and Mississippi rivers that still are at risk for service outages. Union Pacific is also experiencing ongoing delays on subdivisions in Iowa and Nebraska. While the Omaha and Columbus subdivisions in Nebraska were expected to reopen by the end of last week as flood waters receded, reopening of the Lincoln subdivision has been further delayed. There were no reopening dates set for the Falls City subdivision between Council Bluffs, IA, and Kansas City, KS. Norfolk Southern said flooding in Hannibal, MO, has affected rail and intermodal service between Decatur, Illinois, and Kansas City, MO. These transportation problems also affect farmers and the agriculture industry in the US. Members of the forest products supply chain (rightly) worry that once rail service is restored, wood products will be a lower shipping priority. It is often the case that railways favor perishables and seasonal products over lumber and other building materials, and oil companies often offer a premium on rail rates to move their product faster. If this scenario develops, sawmills may end up waiting even longer for their own, already-scheduled, rail cars to eventually arrive. A single click takes subscribers to a Product Detail page with two years of price history and the ability to look at pricing in comparison to economic indicators (housing starts, GDP, etc.). Comparisons of current week's prices to previous time periods, including one- and two-year rolling averages, are provided. The current week's commentary is provided in an easy-to-read narrative format, organized by topic. Is your current lumber report this easy to use? View a video demo or visit the website to learn more about Madison's Lumber Reporter.